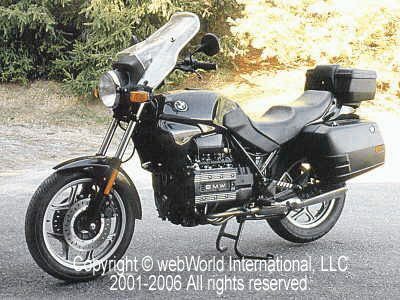 This 1994 BMW K75 motorcycle was purchased in 1999 with 4k on the odometer. This is how it looked when I bought it. I converted the “low rider” seat to the standard height seat (here’s a page with details on how to do this). 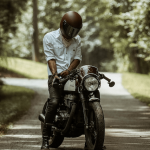 Modifications included a Kisan headlight modulator (installation tech article) and the Run-n-lites in front with K-tail 2 additional brake lights in rear. LifeBrite LED 5-second blinking brake lights above license plate and Signal Dynamics LED brake light bar (installation tech article). BMW heated grips; Flip-a-lever cruise control; Glo-flex reflective tape on back and front of bags. Also got a great deal on a used BMW Multivario tank bag. See the wBW Technical and Maintenance Articles Page for info on various maintenance tasks and other goodies I’ve installed on this bike. I sold this bike in September of 2002 to make room for my next ride….A Triumph Thunderbird Sport!